One morning on my usual walk to work in Raffles Place, the central business district of Singapore, I spotted these two ads by Chevron Building. The first ad by Bumitama Agri Ltd says: “Mum was wrong. Slow and steady doesn’t win the race.” Its supporting line says it is a young and fast-growing oil palm plantation company with over 119,000 hectares of planted land and 345,000 tons of CPO produced. 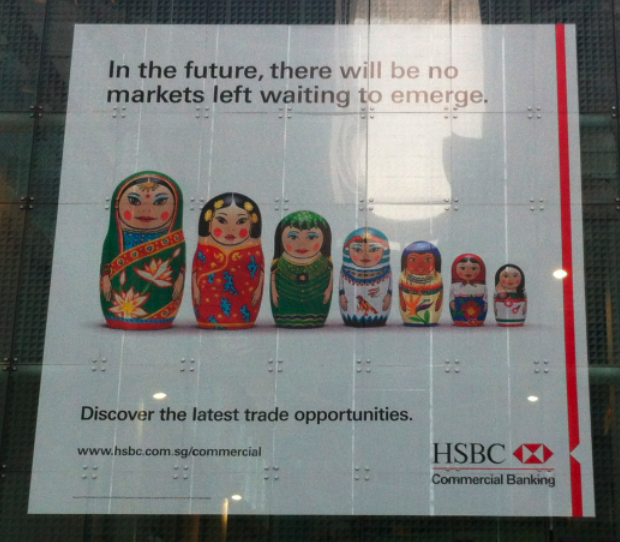 The second ad is by HSBC, showing a series of matrioshka dolls lined up from big to small. The headline says: “In the future, there will be no markets left waiting to emerge.” The supporting line urges the reader to discover the latest trade opportunities. Frankly, I am appalled by the messaging on these ads as they enforce the belief that if you do not grab your share now, there will be nothing left for you. It mirrors the competitive and bullish attitude of the financial market, and the mindset that if you wish to succeed, you have to act now and act quickly. The words young and fast-growing in the palm oil ad lends to this hurried and exciting prospect of generating wealth. Slow and steady? Nah. I have to admit I’m not the most carpe diem person around, but what worries me is the notion that no one is willing to wait anymore in today’s society – for the right person, the right job, the right home, the right time to do anything. The belief that we live in a finite world, with only one life to live and nothing else beyond our deaths, could perhaps be one of the reasons why we feel we have to maximise our lives here on earth – money to make before I’m 30, places to go before I die, experiences to be had before I am married. Before I found my current flat, people were hurrying me, telling me that the property market here is so fast-moving that good units are snapped up like hot cakes. I refused to believe this, and took my time until I found the right place. I now truly believe that if something is meant for me, it will be there for me. 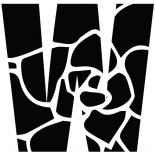 This entry was posted on June 11, 2012 by wanphing and tagged Singapore, work.